It’s been a while since my last post. The fall wedding season has been a busy one! 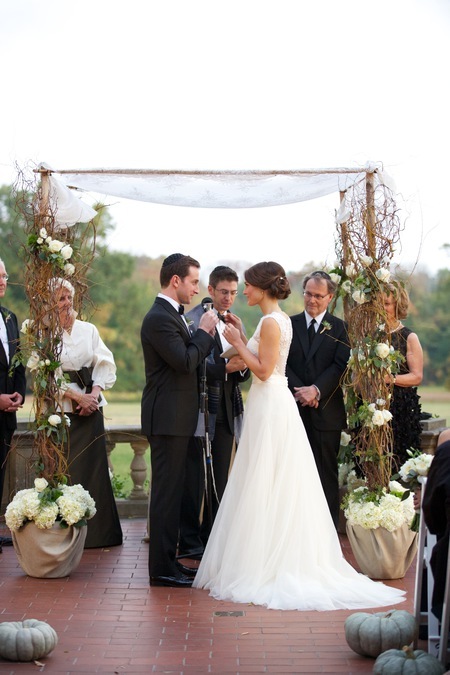 This is one wedding that was picture perfect. 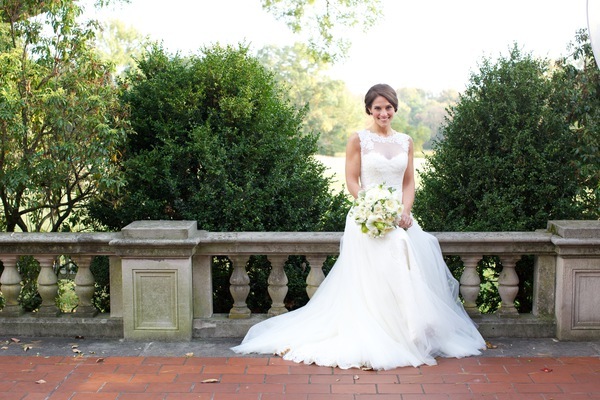 From the venue, to the weather, to the dress, to the beautiful details, this wedding is definitely one to see! The incredible food was prepared by Maison Privee, the band Jerry Kravat Orchestra and the amazing photographs, none other than Julie Skarratt. 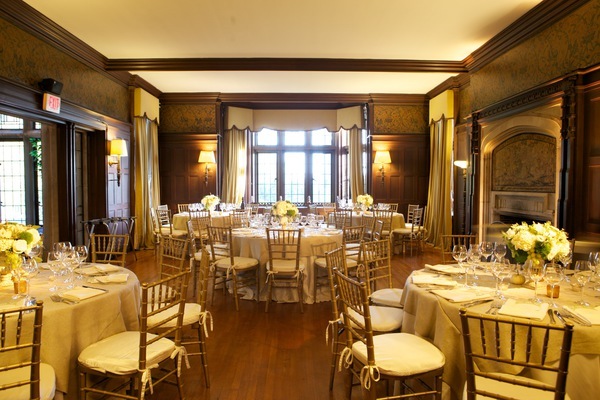 The approach to this wedding was the use of neutral colors yet having a fall feel. 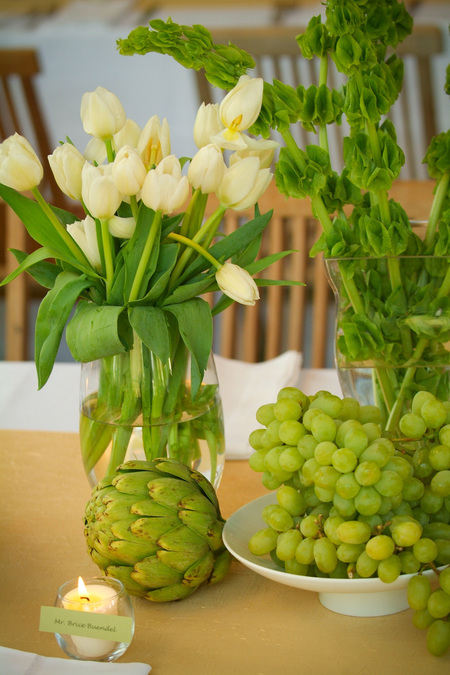 White and sage pumpkins combined with flowers and seasonal fruits created a warm inviting space for all their guests. It’s time to begin choosing your wedding colors and you are not quite sure what you want. An all white wedding has crossed your mind before, but you feel like you need that extra something more. 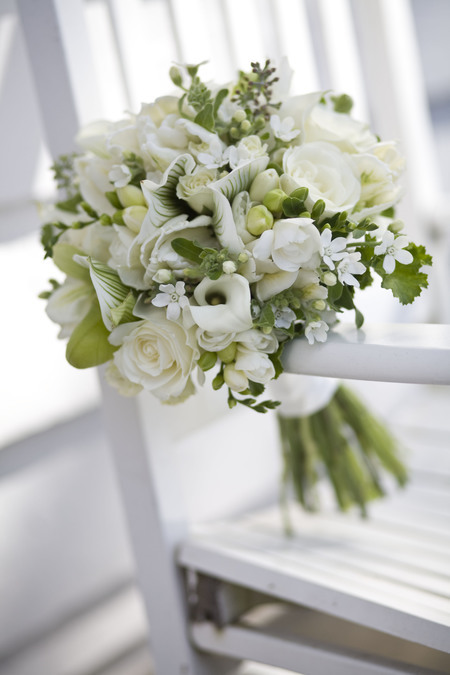 But how can you give your wedding that extra something more without compromising the fresh, clean look of white? If this sounds familiar, you may want to consider using a white and green color palate. 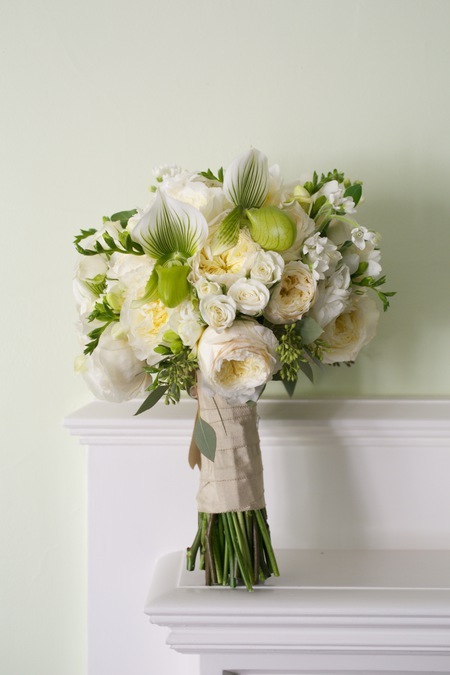 The combination evokes a fresh simplicity that can be stunning in bouquets, centerpieces, and in bridal party attire. 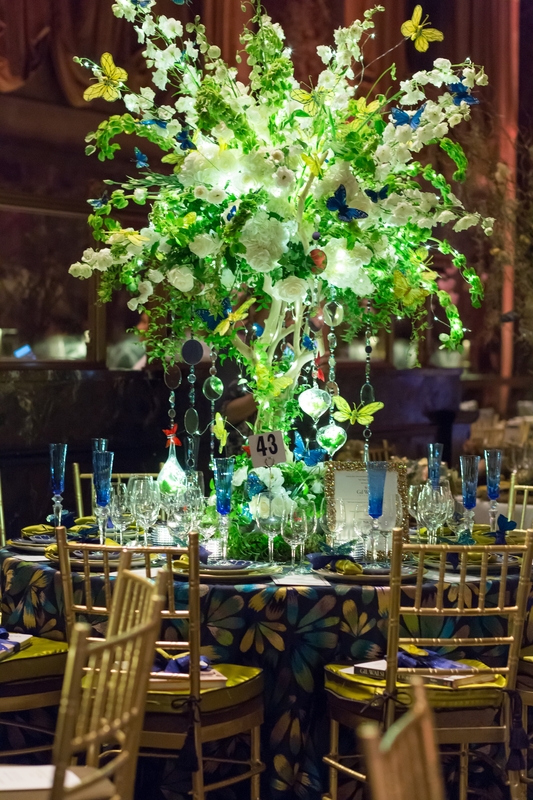 The color combination looks fantastic in spring and summer weddings against the backdrop of everything from outdoor ceremonies to tented receptions. 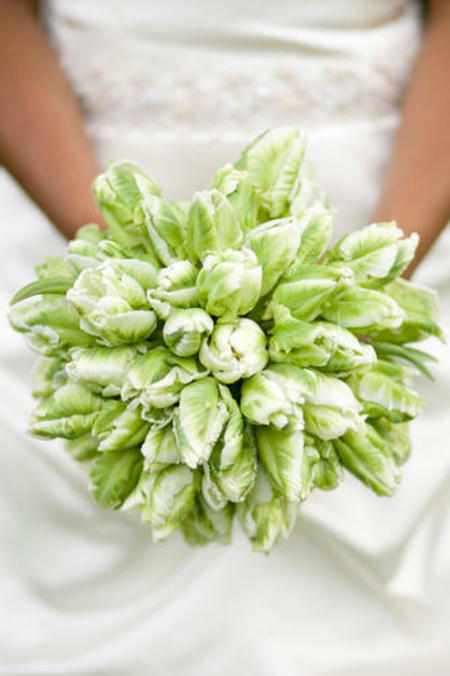 Here are two examples of bridal bouquets we have done that incorporate a white and green color scheme. Below is an example of a table from one of our past events that uses various fruits and floral arrangements in a green and white color palate. 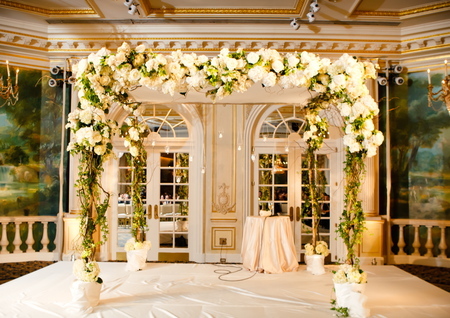 Green and white can also be incorporated into any chuppah design to achieve the same fresh and beautiful look. You and your fiancé are enjoying the glow of your new engagement and are starting the task of planning your dream wedding. After visiting a few venues and being underwhelmed by the space and overwhelmed by the price you are struck with an awesome idea. Your parents own a beautiful house with a lovely yard just outside the city. You'll have it there!! You'll rent a tent!! You'll save money!! Having your wedding in a tent can be a gorgeous affair. 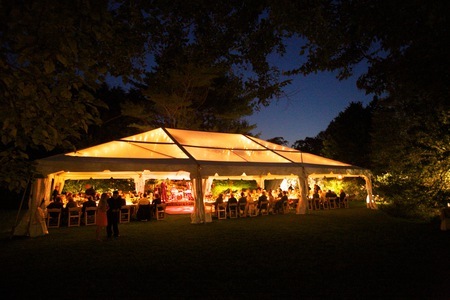 It is much easier to customize a tent(essentially a blank canvas) than say, a country club ballroom, which will have colors and decor that might not fit into your vision. A tent can be made to be simple and sweet or over-the-top opulent. 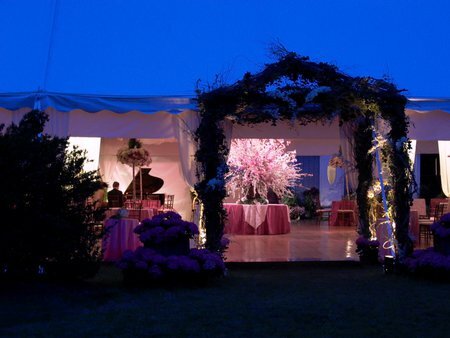 But there are many factors in making a tented wedding work. Though the initial cost of renting a tent may seem way more economical than renting out a ballroom keep in mind that the ballroom fee will include all the venue has to offer. Chairs, tables, place settings, lighting and yes even BATHROOMS are usually included in the price. Not so with a tent. All of this and more must be rented or purchased. Yet this can be an amazing opportunity to personalize your wedding down to that last detail so don't dismiss the idea too quickly. 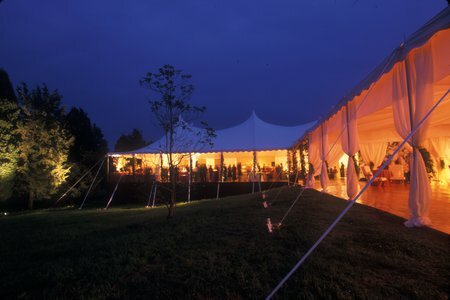 For inspiration we have included a few photos of some of our tented weddings. 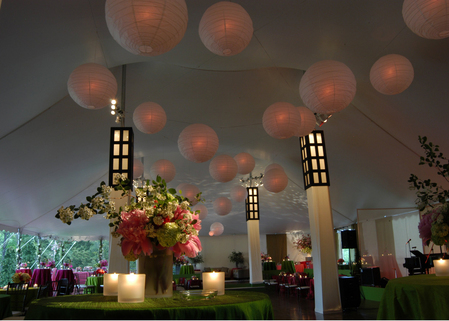 As you can see from the photos above there are endless possibilities for setting and mood with a tent. As long as you are armed with the knowledge of the unique considerations of planning this style of wedding, you can make it the day of your dreams. Hello and welcome to the James Abel Events blog! Check in often, as we will be updating frequently and posting pictures of our most recent weddings and events. We are also going to include helpful hints to ensure your planning process goes smoothly and is tailored to your own particular style and budget. Since gardens everywhere are popping with spring colors we thought we would showcase a few of our bridal bouquet arrangements for some inspiration!! When planning the floral arrangements that you and your wedding party will be carrying down the aisle keep in mind the color and the mood that you are setting for your special day. 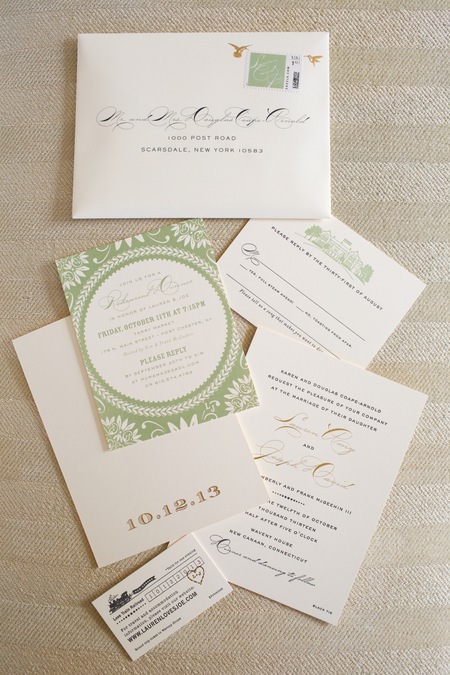 Are you going for lush and romantic or striking and elegant? 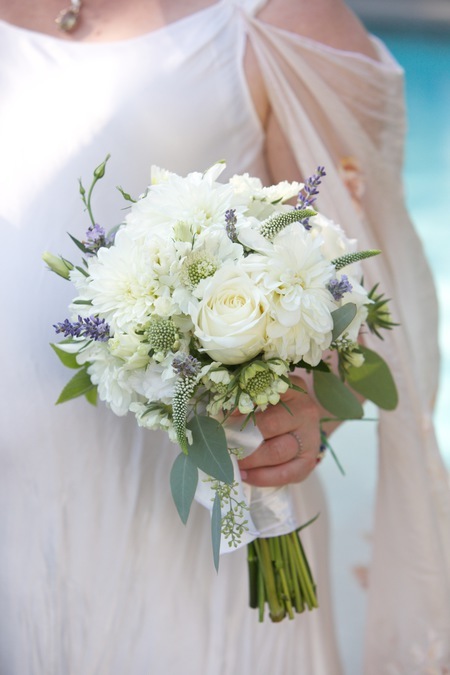 A jumble of colorful wildflowers or an exquisitely composed bouquet of white roses? 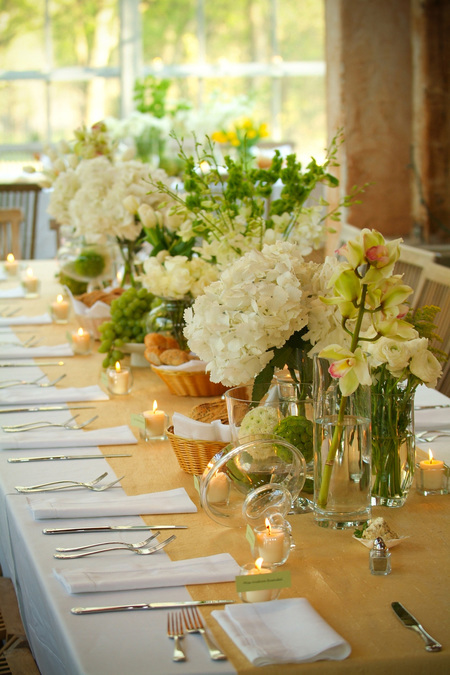 James can guide you to the perfect arrangement with an eye towards what is in season and what will complement your wedding and your personal style. 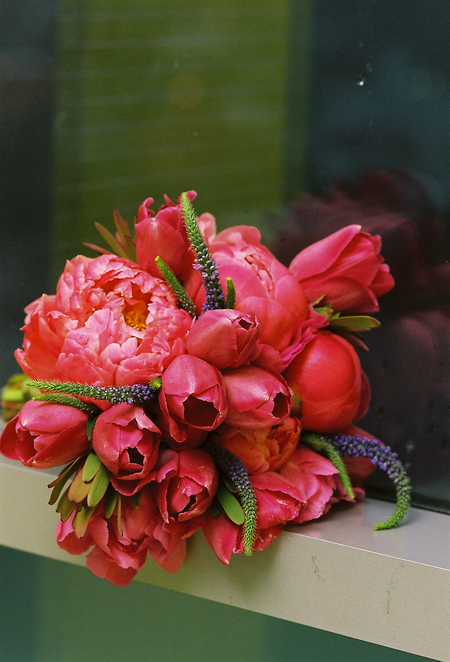 Shown below, Peonies, tulips and veronica in gorgeous tones of pink, dusty mauve with a small pop of purple. 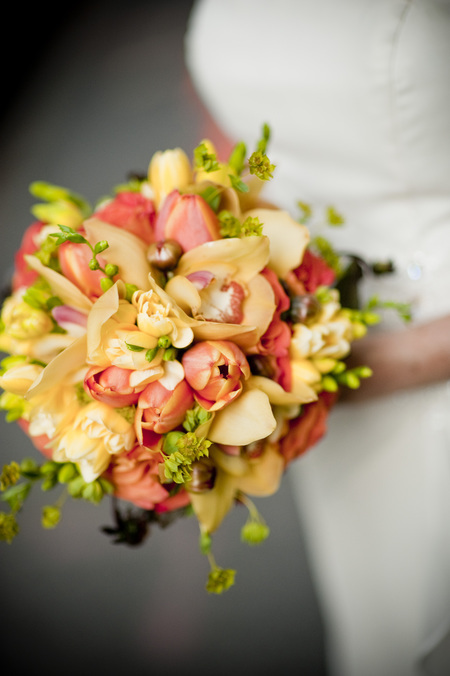 Keep in mind that a balance of color and flower shape makes for the prettiest bouquets. Here is another example of color and shape composed to make a classic arrangement. Roses, calla lilies, and geranium work together to make the true beauty of each flower shine. When more than one color or tone is included in the arrangement, balance is key! Tulips, orchids, and freesia look effortlessly elegant in this bouquet but in reality are carefully placed to achieve this carefree beauty. Keep in mind your bouquets will figure prominently in the photographs taken of your wedding so try and visualize the big picture. Scale and proportion are factors as well. 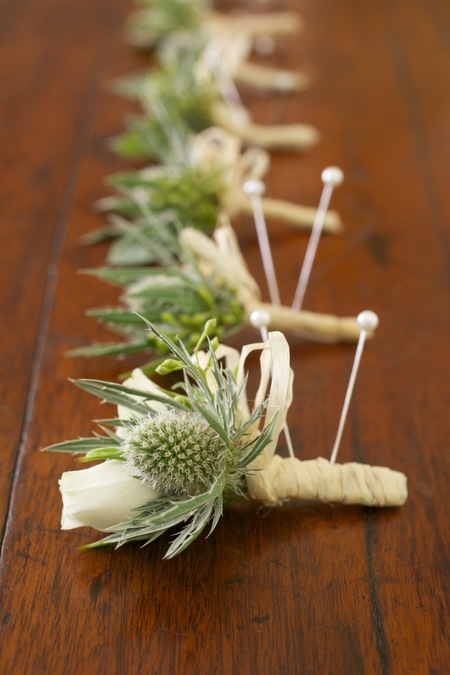 A personal memento can be weaved into your bridal bouquet or wrapped around the base of the arrangement. We have had brides walk down the aisle with a piece of heirloom jewelry, a tiny framed photo and in one case a plastic ring from a Cracker Jack box woven into their flowers. Yet another way you can make your wedding special and unique to you.